Pretty much anyone over the age of 30 had a set of green plastic army men to play with when they were young. These Silver Army Men are just like that, only made out of metal, and based on the original Vietnam-era toys from Louis Marx & Co. 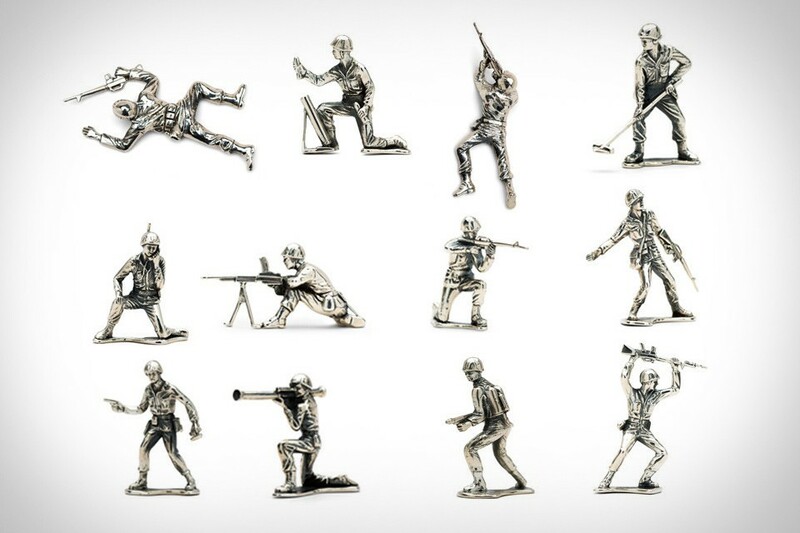 The lineup includes everyone from the "Follow Me" M16 soldier to the mine sweeper, each cast in solid sterling silver, complete with bases for the standing figurines. Available individually or as a complete squadron.